L.A. Metro is building Los Angeles County’s multimodal, flexible, and sustainable transportation system. With an expansive bike share program planned, numerous bikeways funded , rider safety education programs, Bike Hubs, and policy initiatives to make L.A. County more bike-friendly. But does of all of this inspire you to ride a bike on the streets of Los Angeles? Currently cycling in LA County intimidates many potential riders. How do we make it comfortable and safe for everyone?At Bike Week LA’s speaker panel on May 11, we’ll explore the pros and cons of riding on two-wheels in a region still dominated by cars, and ask:Can bike infrastructure make the streets safe enough for you to ride on? Would you let your child or encourage your grandmother to cycle in LA?Can cyclists and drivers learn to get along — with mutual respect and shared acceptance of the rules of the road? Is cycling on LA’s streets in YOUR future? 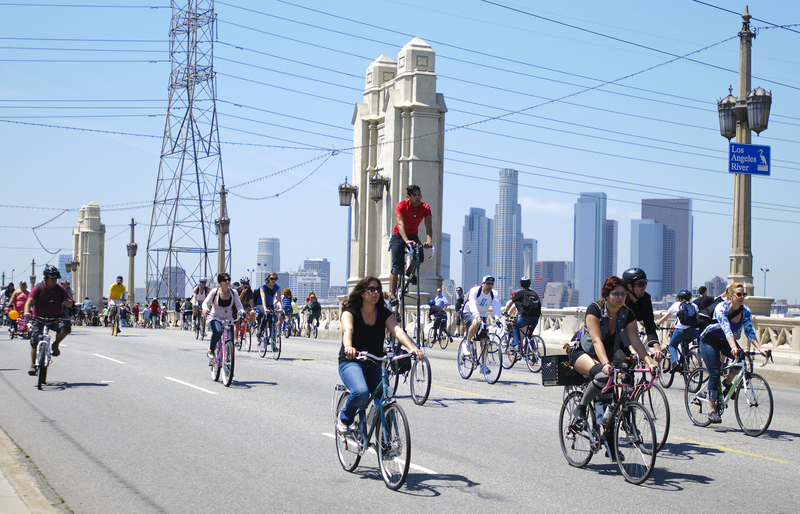 At Bike Week LA’s speaker panel on Monday, May 11, we’ll explore the pros and cons of riding on two-wheels in a region still dominated by cars. The event will take place at the Caltrans Amphitheater, located at 100 S. Main Street in downtown Los Angeles, at 6 p.m. You can RSVP for the event here. Panelists include Frances Anderton (Moderator), KCRW Design and Architecture Host and daily bicycle commuter; Maria Sipin, Advisory Board Member of Multicultural Communities for Mobility; Tamika Butler, Executive Director of Los Angeles County Bicycle Coalition; Sergeant Mike Flynn, LAPD Central Traffic Division Bicycle Liaison. In addition to attending the panel, people can also join in on social media where we will be posting all of the questions and discussing responses. Track #BikeWeekLA during the hours of the panel to watch and engage with the discourse wherever you are.